Having a hot cup of coffee in the morning, the peace of your backyard, your dog, passing an exam, reading a book: we could make a long list of what makes us happy. Now, would you make this list with photos during 100 days to share on social networks? This is the challenge proposed by #100HappyDays with a goal in mind: to be happy. Far from being a competition, it’s more of a self challenge; a personal goal to learn or perhaps to get used to enjoy every day. How to participate? Plain simple! submit every day a picture of what made you happy! It can be anything from a meet-up with a friend to a very tasty cake in the nearby coffee place, from a feeling of being at home after a hard day to a favor you did to a stranger. Enter your data in http://www.100happydays.com/ and choose in what social network you will be posting (Facebook, Instagram or Twitter). #100HappyDays challenge is not a happiness competition or a showing off contest. If you try to please / make others jealous via your pictures – you lose without even starting. Same goes for cheating. And when the challenge is over the collected 100 happy moments can always remind you about the beauty of your life. 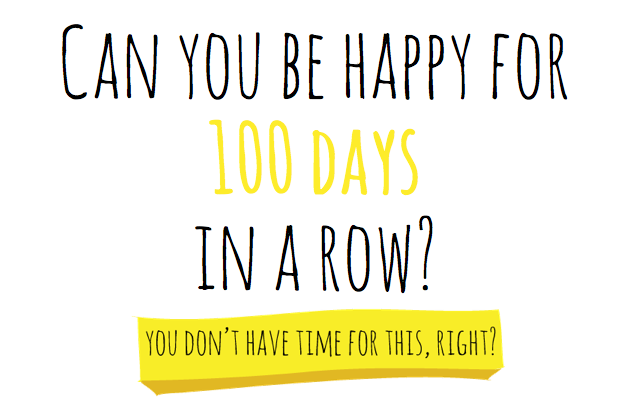 For that, you can receive a little 100 page book with your 100 happy days at the finish line of the challenge! Was Home Hotel in one of those #100HappyDays?